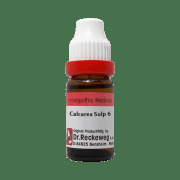 Dr. Reckeweg Calc Sulph Dilution is an effective remedy for the treatment of skin conditions such as eczema, lupus and acne. It is also useful in the treatment of tumours and swollen glands. It can also be used to treat several other health complications and heals minor cuts and wounds. Respiratory ailments like loose cough and collection of fluid in lung cavity can also be treated using this medicine. Take 3-5 drops of the dilution with 1 teaspoon of water thrice a day or as directed by the physician. 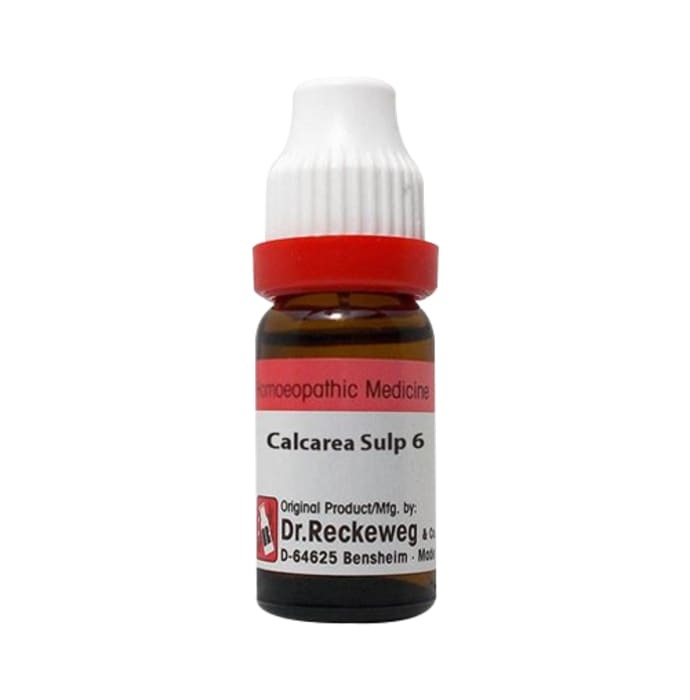 A licensed pharmacy from your nearest location will deliver Dr. Reckeweg Calc Sulph Dilution 6 CH. Once the pharmacy accepts your order, the details of the pharmacy will be shared with you. Acceptance of your order is based on the validity of your prescription and the availability of this medicine.